The EU mission in Jerusalem and Ramallah on Sunday condemned the recent execution of two Palestinians in Gaza by Hamas authorities, a statement read. "The de facto authorities in Gaza should refrain from carrying out any executions of prisoners and comply with the de facto moratorium on executions put in place by the Palestinian Authority, pending abolition of the death penalty in line with the global trend," the statement read. 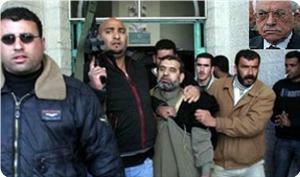 On 22 June, Hamas authorities carried out the death sentence against two convicted collaborators. The EU said it was firmly opposed to capital punishment and its abolition "contributes to human dignity and the progressive development of human rights." Describing the death penalty as cruel and inhuman, the EU said the sentences were "failing to provide deterrence to criminal behavior, and representing an unacceptable denial of human dignity and integrity." The Gaza government has said that it was using the death penalty as a means to deter Palestinians from collaborating with Israel. Hamas interior ministry official Salah Addin Abu Sharkh said the government had "a clear goal and several means to eradicate this dangerous epidemic," including executing convicted collaborators. The Gaza government vowed in June to enforce the death penalty against collaborators, while the department of public prosecution said it would be demanding corporal punishment in "high profile" homicide cases. At least three Palestinians have been sentenced to death for collaborating with Israel since the beginning of 2013. Collaborating with Israel is punishable by death but Palestinian law requires President Mahmoud Abbas' approval before being carried out, leading to global criticism that the rulings were carried out illegally. In 2005, Abbas announced a moratorium on all executions. Palestinian intelligence service in Ramallah on Friday morning transferred political prisoner Qaher Abu Kamal to the hospital after his health deteriorated as a result of his ongoing hunger strike. Qaher Abu Kamal, from the town of Dar Salah east of Bethlehem, has been on hunger strike since his arrest 8 days ago, in protest at his illegal detention. 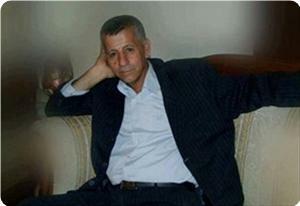 He is a liberated prisoner who served 4 years in occupation jails. Abu Kamal's family pointed out that his health condition has deteriorated in PA's prison, and that he is determined to continue his hunger strike until his release. The Authority’s security court on Tuesday extended the detention of Qaher Abu Kamal for 15 days due to his political activity in the Islamic bloc. The captive's father appealed to all human rights organizations to intervene for the release of his son and to stop his suffering especially after the deterioration of his health condition. Meanwhile, PA security apparatuses in the West Bank arrested during the past two days three Hamas affiliates. In Tulkarem, the Preventive Security Service (PSS) arrested a liberated prisoner and former political detainee, and extended his detention for 15 days pending investigation. Sources from the Polytechnic University in al-Khalil Governorate confirmed that the PPS also continued to detain the liberated prisoner Mowaffaq Abu Hamdiya, aged 24, who had served 10 months in Israeli jails. 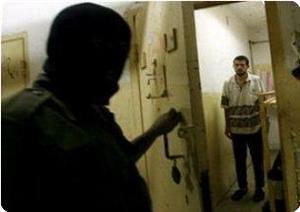 Another young man was arrested in al-Khalil by the PA's apparatuses, after being summoned for interrogation. The Arab Organization for Human Rights (AOHR) called on the Palestinian Authority to stop security coordination with the occupation and intensify efforts to confront the settlement activity and the land confiscation by the occupation. The organization based in the UK said that the town of Jayyous, near Qalqilya, has been significantly affected by the construction of the apartheid wall which destroyed its agricultural lands and uprooted about four thousand olive trees. AOHR said in a report on Thursday that the villagers are subjected to serious violations by the occupation forces which arrest everyone involved in activities against the wall, in addition to raids by the Palestinian security apparatuses which have been also arresting activists in coordination with IOF. The report pointed out that elements from PA's intelligence service and national security forces stormed the village of Jayyous on June 23 and arrested four Palestinians, including children. The detainees were interrogated at the intelligence headquarters in Qalqilya, and were released on Tuesday following protests and demonstrations in the village. It added that the Israeli occupation forces (IOF) had stormed the village a few days earlier, and arrested a number of young men. AOHR stressed on the right of Palestinian citizens to protest against the apartheid wall, noting that arresting the activists represents a grave breach of the Geneva Conventions that protects the civilian population and give them the right to resist the occupation by all means. The Palestine prisoners center for studies held the PA security apparatuses in the West Bank, the intelligence apparatus in El-Bireh specifically, responsible for the life of Qaher Abu Kamal. Riyadh Al-Ashqar, the center’s media director, said that Abu Kamal worked as a spokesman for the center for three months but he quit almost two months ago due to PA security pressures. He added that a PA intelligence force abducted Abu Kamal on 22nd June and after two days a PA court extended his remand for 15 days on the charge of involvement in syndicate and political activity on behalf of the Islamic block in Birzeit university. Abu Kamal then decided to go on an open hunger strike four days ago protesting his illegal and unjustified detention, Ashqar said. He said that Abu Kamal’s health deteriorated as a result of the strike and there are fears that it might reach a serious stage especially in light of the bad incarceration conditions in the PA jails. The center believed that the detention of Abu Kamal came in harmony with the Israeli occupation’s policy and as a stab in the back of the prisoners as Abu Kamal was working for their cause. The leftist Palestinian People’s Party issued a statement strongly denouncing the Palestinian security forces for arresting members of leftist parties, members of the Popular Resistance Movement, by Palestinian military intelligence officers, this past Sunday in Qalqilia, in the northern part of the occupied West Bank. The PPP said that the security forces arrested several PPP comrades, and members of other leftist parties, in Jayyous town, north of Qalqilia. The committee representing families of political detainees in the West Bank refuted claims made by the Palestinian authority security agencies that all the arrests they had conducted were not politically motivated. In a press release, the committee stated that the politically-motivated arrests and summonses are still ongoing in the West Bank. It said that it had documented since the beginning of the current year 440 incidents of political arrests and 920 summonses for political reasons in different West Bank areas. The committee underlined that the Israeli-backed PA security agencies target during their detention campaigns relatives of martyrs and prisoners, ex-detainees released from Israeli jails, university students, journalists, Mosque imams, teachers and dignitaries. The committee noted that since the last national talks between Hamas and Fatah in Cairo, the PA intelligence and preventive security agencies have carried out more than 80 political arrests and issued 95 summonses for interrogation. The committee affirmed that there are still more than 72 political detainees in West Bank jails, 11 of them have been in detention for more than six years. The committee also accused the PA security agencies of refusing to comply with many court orders demanding the release of political detainees and of using torture methods during interrogation sessions. 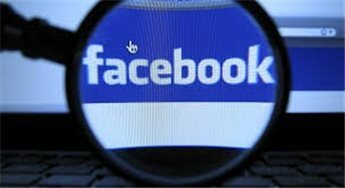 Palestinian police on Saturday detained two suspected hackers of a Facebook account in Ramallah, authorities said. Police said the owner of the hacked account filed a complaint at the electronic crimes department in the public prosecution. Prosecutors in cooperation with detectives in Ramallah followed up and detained two suspects. The suspects were not identified and it was not clear if they had lawyers. They were transferred to public prosecution. Police also seized a computer that the suspects allegedly used to hack the accounts. In a statement, police said that they would continue to follow up on electronic crimes, and they called on the public not to hesitate to report such crimes to the authorities. PA's Preventive Security Service (PSS) arrested three Palestinian youths accused of participating in an attack against an Israeli force last week. According to local sources; the Preventive apparatus recently carried out raids on dozens of Palestinian houses in villages of the city of Dura, where it arrested three Fatah affiliates who had opened fire towards an Israeli military force at the crossroads of the town Khursa south of Dura last week. The Israeli forces had imposed a security cordon on the cities of al-Khalil and Dura for several days after this attack, but have been unable to identify the attackers. However the Preventive apparatus started questioning dozens of Palestinian youths, and identified arrested them those who carried out the attack. 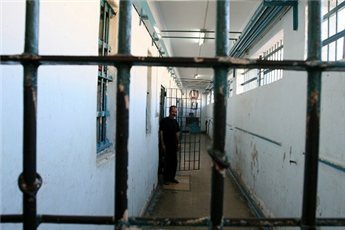 A military court in the Hamas-ruled Gaza Strip issued the death sentence to a Palestinian after finding him guilty of collaborating with Israeli intelligence. The man, identified only as Kh.Sh, was born in 1972 and is from the Meghazi refugee camp in the central West Bank district of Deir al-Balah. The sentence is the third death penalty issued since May, after the Hamas-run government vowed it would execute a number of collaborators with Israel in an attempt to "eradicate" collaboration. Last month, Salah Addin Abu Sharkh, director of internal security at the Interior Ministry, said the government had "a clear goal and several means to eradicate this dangerous epidemic," including executing convicted collaborators. Abu Sharkh said the anti-collaboration campaign, which ran from March 12 to May 12, achieved most of its goals and resulted in a number of arrests. He said legal procedures against the suspects were ongoing, in an interview on the ministry's website. "Social networks are largely useful in educating our people, though the Israeli occupation makes some attempts to recruit collaborators through these social networks. However, these attempts are incomparable with the huge benefits these networks achieve in raising awareness about the dangers of collaboration," Abu Sharkh added. He said all Palestinian factions in the Gaza Strip cooperated with security services and played a role in fighting collaboration. In May, a military court in Gaza sentenced two convicted collaborators to death by hanging. 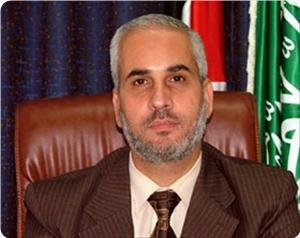 Sheikh Saleh Aruri, a member of Hamas political bureau, confirmed that the political arrests and summonses carried out in West Bank by PA security forces violate the reconciliation talks. He pointed out that the recent escalation in political arrests has a negative impact on the reconciliation implementation. Aruri stressed on the right of the West Bank youths to live in dignity and freedom away from political arrests and summonses. He called on Fatah leadership to stop all security violations in the West Bank and to reinforce freedoms as a crucial step towards subsequent attainment of true national reconciliation. For its part, the Committee representing families of Political Prisoners in the West Bank called on the Freedoms Committee, established under the reconciliation talks, to stand firmly against PA political arrest policy and to work for the release of the political detainees in PA jails. The political detainees' families expressed in a letter to the Freedoms Committee their deep concern over their sons' detention conditions and expressed their disappointment following the failure of the Cairo reconciliation meeting, on May 31, to get their sons released. The letter coincided with "It Makes No Difference to Me" campaign that was launched by Palestinian youths in West Bank calling for civil disobedience against PA security forces' harassments. The political detainees' families pointed out to the escalated political arrests and summonses since the reconciliation meeting. 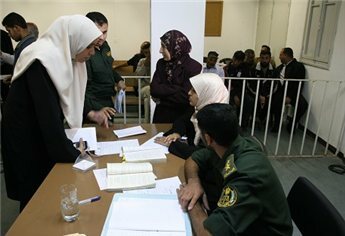 According to data released by the Committee representing families of Political Prisoners in the West Bank, 118 Palestinian citizens were arrested or interrogated by the PA since the recent reconciliation meeting in early June, pointing out that more than 15 thousand Palestinian citizens were summonsed since 2007. The committee confirmed that the martyr Saadi al-Sakhel who died in PA Intelligence headquarters, was arrested with his son without the public prosecutor's permission. The letter mentioned the fact that dozens of political detainees spent long years behind PA bars away from their families. 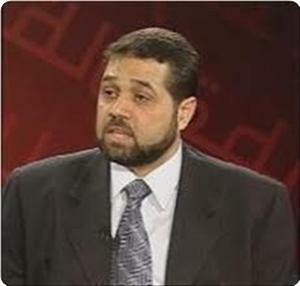 Director of Hamas's foreign relations Osama Hamdan said the political arrest campaign which is carried out systematically by the Fatah-affiliated Palestinian authority security agencies against Hamas cadres and supporters in the West Bank reflects lack of seriousness about ending the Palestinian division. Hamadan made his remarks in a press statement to the Jordanian newspaper Assabil, commenting on a recent report released by the committee representing families of political detainees in the West Bank. Hamdan stated that the political arrests are considered a coup against the Palestinian and Arab efforts to heal the rift in the Palestinian arena. He affirmed that Hamas, however, would keep its efforts and meetings with the Fatah faction to end the Palestinian division. The committee representing families of political detainees had said that the Palestinian authority had carried out about 15,000 politically-motivated arrests and summonses since 2007 against citizens, mostly affiliated with Hamas, in the West Bank. The committee also demanded the national freedoms committee to address the persistent violations committed by the PA in the West Bank and work on having all political prisoners released from the PA jails. The family committee of political detainees called on the national freedoms committee to deal firmly with the violations being committed by the Palestinian authority security agencies in the West Bank and work hard on having all political prisoners released. 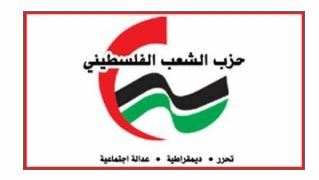 In a letter sent to the freedoms committee, the family committee expressed its disappointment at the failure of the last Palestinian reconciliation meeting in Cairo to have its detainees released from the PA jails and end the political arrests in the West Bank. The family committee underlined that the West Bank citizens are not responsible for the political division in the Palestinian arena and must not pay the price for others' mistakes. It affirmed that the PA security agencies have escalated the political arrests and summonses since the last reconciliation meeting, expressing its dismay at the silence of the freedoms committee towards such violations. The letter also provided some statistical facts about the PA violations in the West Bank, saying that more than 15 Palestinian citizens have been arrested and summoned extrajudicially by the PA security agencies since 2007. It added that since the last reconciliation meeting at the beginning of June and until last Thursday, more than 118 citizens have been taken prisoners or summoned for interrogation. 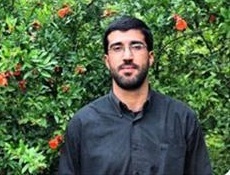 Al-Sakhel family, from Nablus, revealed that Haitham Zahran, an officer at PA Intelligence services, was behind the arrest of Saadi al-Sakhel before his death. The family held the officer responsible for the father's death who died in PA Intelligence headquarters a few hours after his arrest where he was brutally attacked and harshly beaten. Al-Sakhel family also called for the prosecution of the officer, while the PA has transferred Zahran from Nablus to Ramallah for fear of the family reaction. Saadi al-Sakhel was arrested several times by Israeli occupation forces, he is the father of the prisoner Mustafa al-Sakhel who is sentenced to 11 years and the liberated prisoner Nael al-Sakhel. Meanwhile, hundreds of mourners participated in the funeral procession in Nablus after midday prayer amid high tensions. The mourners roamed the city streets raising green flags and chanting slogans against PA security services' practices and praising Hamas and al-Qassem Brigades. Riot police, armed with batons and shields were deployed in many streets in the city for fear of erupting clashes. In a related context, Nablus governor Jibril al-Bakri claimed that al-Sakhel suffered from cirrhosis and died Saturday of two consecutive heart attacks in an attempt to absorb public anger. Meanwhile, the Committee representing Families of Political Prisoners in the West Bank confirmed that Haj Saadi al-Sakhel died on Saturday afternoon in PA Intelligence headquarters in Nablus a few hours after his arrest from his workplace. PA forces broke violently into Haj al-Sakhel's workplace on Saturday morning in Rafedia and arrested him and his son Musab. The PA forces came to arrest Musab but his father refused to hand his son. They started then shooting up in the air before arresting both the son and his father where they were taken to PA intelligence headquarters in Junaid prison, the committee explained. 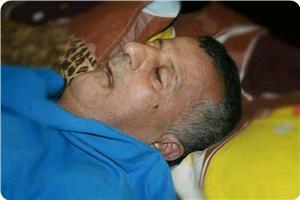 The committee stressed in its statement that Haj al-Sakhel was beaten to death shortly after his arrest. The Committee strongly condemned the crime considering it a violation of the national and human values. The statement stressed the need to prosecute those in charge of these security forces for their continued crimes and violations against Palestinian people. The London-based Arab organization for human rights held de facto president Mahmoud Abbas fully responsible for the death of citizen Saadi Al-Sakhel, 62, inside an intelligence headquarters in Nablus city after he was kidnapped along with his son from his workplace. In a press release on Sunday, the organization demanded Abbas to open an immediate investigation into the incident and bring the perpetrators to justice. It warned that the Palestinian authority security apparatuses persist in their violations against the West Bank citizens without any action by the European donor countries, which fund the PA and its security agencies, to curb such growing practices. For his part, the Euro-mid observer for human rights demanded the PA to conduct a serious and urgent inquiry into the death of the elderly man in Juneid prison in Nablus. The observer emphasized the importance of bringing all security individuals who were involved in this incident to justice, and putting an immediate end to the arbitrary political arrests taking place in the West Bank. It highlighted that such political arrests violate the international humanitarian law and the Palestinian local laws. It said that the case of this citizen represented an example of the ongoing flagrant violation of human rights and the arrest of citizens extrajudicially and illegally by the PA security agencies in the West Bank. It noted that it had documented the occurrence of hundreds of illegal arrests and summonses in the West Bank since the start of the current year. In a related incident, a state of extreme anger prevailed among the citizens in Nablus city on Saturday evening following the death of their 62-year old compatriot Saadi Al-Sakhel in a PA jail. Dozens of Nablus young men took to the streets, especially in Ras Al-Ein neighborhood where the Sakhel family lives, torching tires and blocking traffic movement. The family of Saadi Al-Sakhel received his body after doctors in Al-Arabi hospital confirmed his death in order to prepare for his funeral, but PA security forces stormed the house and took the body to the PA-controlled Rafidia hospital at the pretext of conducting an autopsy to determine the cause of death. The transfer of Sakhel's body by the PA intelligence forces to another hospital was seen as a step to manipulate the report of his death to avoid any problem that may result from taking any legal action against the perpetrators who maltreated the victim and caused his death. The Hamas Movement mourned the death of Haj Saadi Al-Sakhel, who died yesterday in Juneid jail, and called for bringing the killers to justice. In a press release, Hamas said that what happened to Haj Sakhel was a crime and its perpetrators must be held legally accountable. 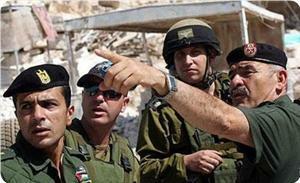 It added that this crime reflected the size of violations which the Palestinian citizens are exposed to by the Palestinian authority security apparatuses in the West Bank. Hamas hailed Haj Saadi Al-Sakhel as a father of a Palestinian family known for its heroism and sacrifices and said his family has endured a lot of suffering at the hands of the Israeli occupation and the PA security apparatuses. Haj Sakhel died on Saturday afternoon in the PA intelligence headquarters in Nablus city a few hours after his arrest from his workplace along with his son. In the detention center, PA security officers reportedly attacked the elderly man which resulted in his death. Haj Saadi Alsakhal died on Saturday afternoon in PA Intelligence headquarters in Nablus few hours after his arrest from his workplace, the Families of Political Prisoners Committee in the West Bank said. The committee stated that PA forces broke violently into Haj Alsakhal's workplace this morning in Rafedia and arrested him and his son Musab. In the prison, PA security forces brutally attacked and harshly beat the elderly man which resulted in Haj Alsakhal's death few hours after his arrest. It strongly condemned the crime considering it a violation to the national and human values. The statement stressed the need to prosecute those responsible for such crimes and violations against the Palestinian people. PA security forces continued arrest and summons campaigns against Hamas elements in the West Bank targeting 11 of them, in addition to extending the arrest of 11 other political detainees. In Nablus, PA Preventive Security detained the liberated prisoner Mohammed Tahsin Shuli, 10 days after his release from PA jails. 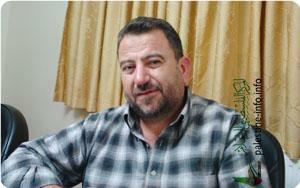 In Qalqilya, PA Intelligence Services summoned Sheikh Abdel Nasser Ghanem, imam and preacher of Immatin mosque. He was arrested more than 10 times in PA prisons. In Jenin, PA Intelligence arrested the Palestinian activist and blogger Islam Nazih Abu Aoun after storming his house twice. Islam is a liberated prisoner and a former detainee in PA prisons, his father, a leader in Hamas movement, is held in Israeli jails. In Salfit, PA Intelligence arrested two liberated prisoners and former political detainees from Qarawat Bani Hassan village. 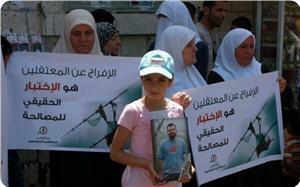 Furthermore, the PA services in Tubas arrested the liberated prisoner Musab al-Bani Matar for the fourth time in a row. 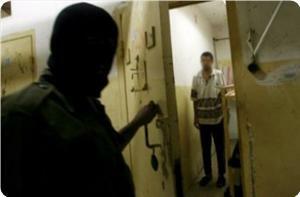 In al-Khalil, PA security arrested three youths including 2 students after storming their houses. In Ramallah, PA services also arrested the liberated prisoner Nader Hossein Ladadweh, 30, and summoned Sheikh Mohammed Adi imam of Beit Ummar mosque. In a related context, the PA court in Ramallah extended on Thursday the detention of 11 political prisoners for 45 additional days. Hamas movement denounced the PA continued political arrests and summonses against the movement elements and cadres in occupied West Bank for their political affiliation and trade union and student activities. These continued arrests deepen the national division, undermine the reconciliation efforts, and serve the occupation, the movement said in its statement. The movement warned of the serious implications of political arrests on the Palestinian reconciliation and issue, renewing its total rejection of the PA political arrest policy. The statement called on PA forces and Fatah movement to put an end to the arrest policy for political affiliation in West Bank and the security coordination with the Israeli occupation. The movement also called for the release of all political detainees from PA jails as a step towards the implementation of the reconciliation. The Islamic Resistance Movement, Hamas, accused the PA security services of thwarting Palestinian reconciliation, through escalating political arrests. The PA forces waged an arrest campaign against Hamas cadres and supporters in the West Bank most recently the leader Jafar Rayhan. He added that PA forces continued their violations and arbitrary arrests against Hamas elements despite Hamas and Fatah movements' reconciliation talks. Barhoum said that since the Cairo reconciliation meetings, the political arrests have escalated in West Bank, he continued, expressing concern for the future of reconciliation and national unity. In the same context, the PA forces arrested this morning Jaafar Rayhani, a leader in Hamas movement, while on his way to his work place in Nablus. Family sources revealed that the PA security services have stopped the leader's car and took him to an unknown destination. 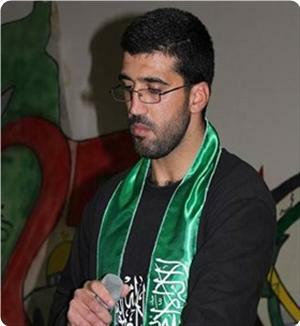 The leader Rayhan is a liberated prisoner who served several years in PA and Israeli jails. His two brothers were martyred by Israeli fire.